Democritus was an Ancient Greek philosopher and scientist, born in 460 BC in Abdera in Thrace, which was a colony of Teos. There is however a slight controversy on his birth dates. According to John Burnet the date 460 BC is too early and it is somewhere near to 470 BC instead. History tells us that Democritus was born to a rich family and the money that he inherited from his father was spent on travels to several countries in his quest for knowledge. It is said that he travelled to Asia, India and Ethiopia. He has written on Babylon and Meroe and he says in ‘Diodorus Siculus’ that he lived in Egypt for five years. He specially mentions the Egyptian mathematicians, praising their depth of knowledge. After the end of his journey he also travelled throughout Greece to get an in depth knowledge about his native land and his culture. He was a wealthy man and he used this wealth to acquire the writings of many Greek philosophers. He was mostly impressed by Leucippus who was the forefather of atomism. 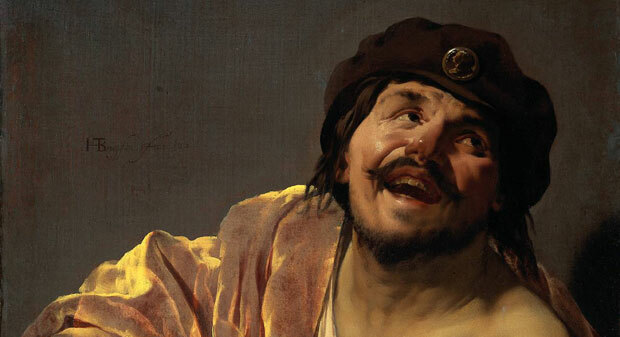 Democritus has his share of anecdotes as with any ancient personality. ‘Diogenes Laërtius’ tells us that he was a modest and simple man whose purpose of life was to gain knowledge. Another interesting anecdote goes as far as saying that he purposely blinded himself so he could not be swayed and tempted in his pursuits. However the truth is more likely that he lost his eye sight due to old age. He was a happy go lucky person who always saw the amusing side of things, a trait that was misinterpreted to ‘laughing at others’. He was thus known as the ‘Laughing Professor’. The philosophy of atoms today is a branch of science however Democritus was not aware of the empirical cognitive in his theory of atoms. He did not have the powerful telescopes that the scientists after him had for their experiments on atoms. He used simple scenarios to explain that nothing was the result of ‘nothing’ and that whatever object or anything for that matter in this world is the outcome of a combination and then re combination of interminable bits of undeniable things that are called ‘atoms’ that are not visible to the naked eye. ‘Atomos’, Greek for atoms were indivisible, infinite in size and shape and totally solid; something we now know to be untrue. He went as far as relating atoms with almost everything even the human soul. Democritus also theorized that time was uncreated. There were no limits of time or space and the universe was everlasting without any beginning or end. There was no incident that brought this world into being. There was a complete contradiction of theories that Democritus presented. According to his atomic theory the world like everything else was created to fulfill some enigmatic purpose. His morals that invoked no God or judge of human behavior, were questioned by many including Plato. He was also a forerunner in mathematics and geometry. Many of his writings ‘On Numbers’, ‘On Geometrics’, ‘On Tangencies’ , ‘On mappings’ and ‘On Irrationals’ are a proof of his mathematical genius. Democritus also expressed his views and theories on anthropology, biology and cosmology. Democritus lived for almost hundred years. The ‘Father of modern Science’ died in 370 BC.